Recently, an escalator accident at well-known Stuyvesant High School caused injury to 10 students. Most of the injuries were minor, but one student’s toe was partially amputated by the escalator. This type of accident should never happen, especially in a school. If you have been injured in an escalator accident, please call an experienced escalator accident attorney to schedule your complimentary consultation. Falls are by far the most common type of accident to occur on an escalator. Falls are often caused by an escalator stopping or starting abruptly, causing the people riding to lose their balance. In addition, spills are a danger on highly trafficked escalators. If the elevator steps become slippery due to a spill that wasn’t cleaned up in time, a person could easily incur a slip and fall injury. It can also be easy for footwear or clothes to become stuck in an escalator if the gap between the steps and the rail is too big, or if there is a gap at the top or bottom of the escalator. Poor maintenance can also cause issues, as in the case of a 70 year old man who was riding an escalator at an AMC on the Upper West Side earlier this year when his foot got caught in between steps. Who Is Liable in an Escalator Accident? The property owner or manager: Property owners have a duty to keep their properties safe for visitors. If the escalator which caused your injury was in poor repair due to neglect on the property owner’s part, they could be held liable. The escalator repair company: If maintenance was performed on the escalator but was done hastily or sloppily and led to an injury, the repair company that performed the subpar maintenance could be held liable. The escalator manufacturer: If your injuries were caused by poor escalator design, the manufacturer could be held liable. Your own actions may play a part in liability as well. 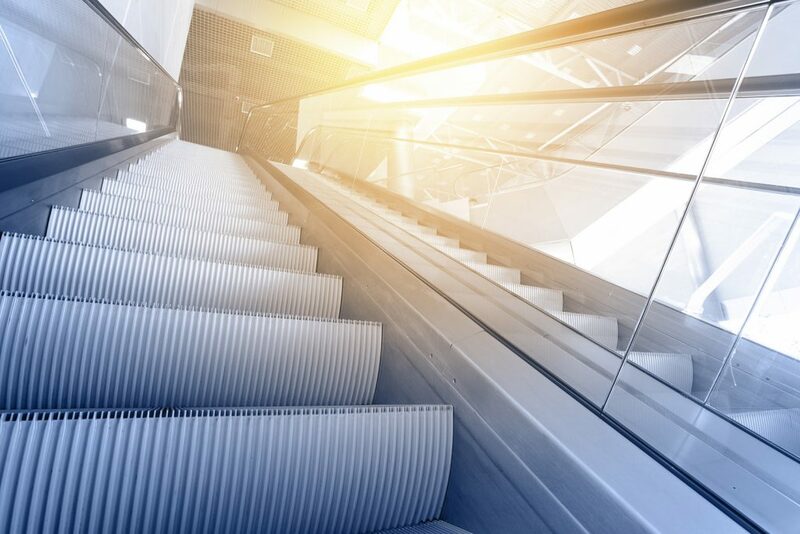 Escalator injury cases may have several liable parties, so the best way to determine liability and see if you have a strong escalator injury case is to call personal injury lawyer Reid B. Wissner as soon as possible for your complimentary consultation. If you have been injured in an escalator accident in New York City, call an experienced personal injury lawyer for your complimentary, no-obligation consultation.